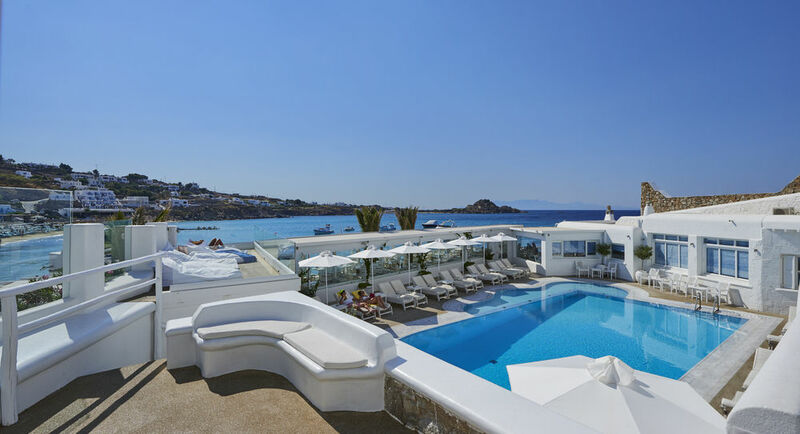 The newly refurbished 5 star Petinos Beach Hotel offers excellent modern facilities in a great location being just moments away from the glorious beach of Platis Gialos. 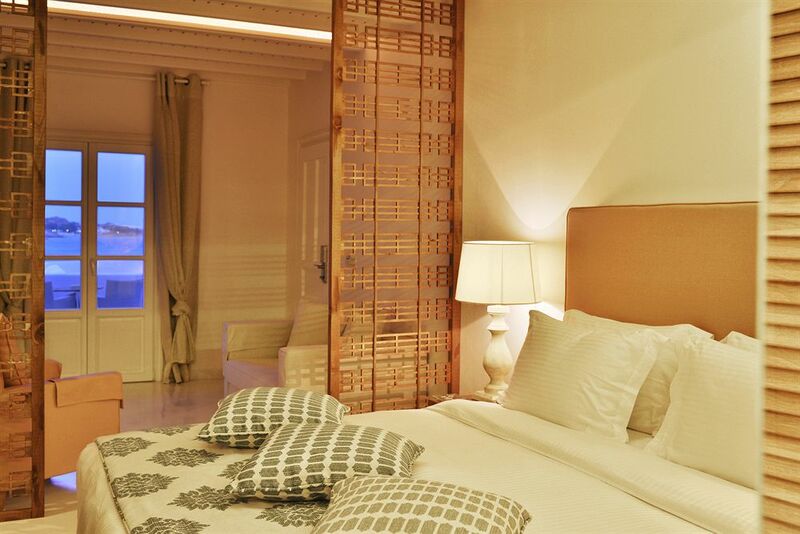 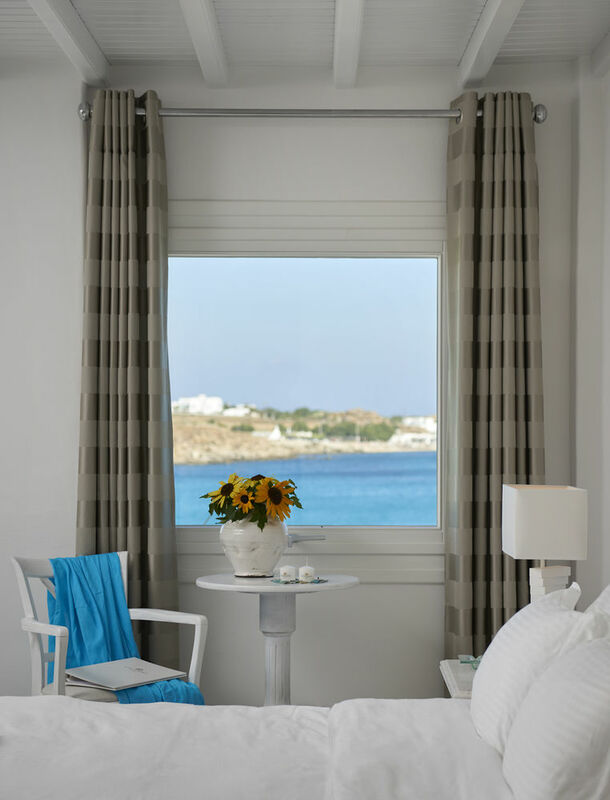 The hotels 24 spacious rooms and suites have been furnished to an excellent standard offering first-class facilities and all with lovely views of the sparkling Aegean sea. 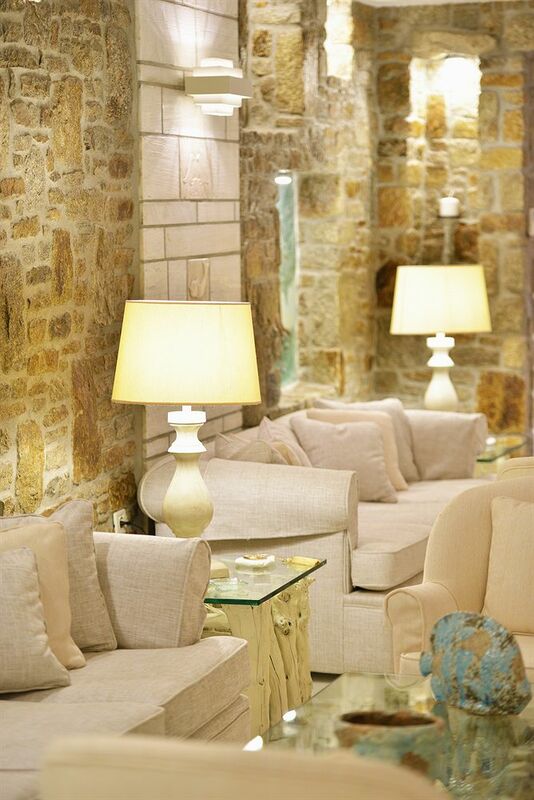 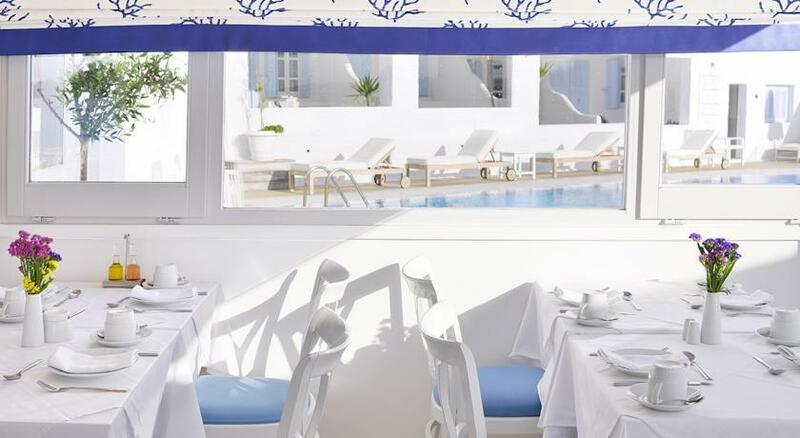 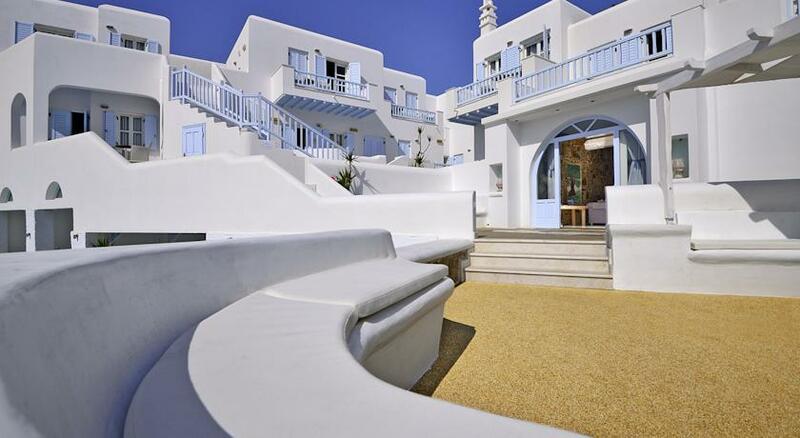 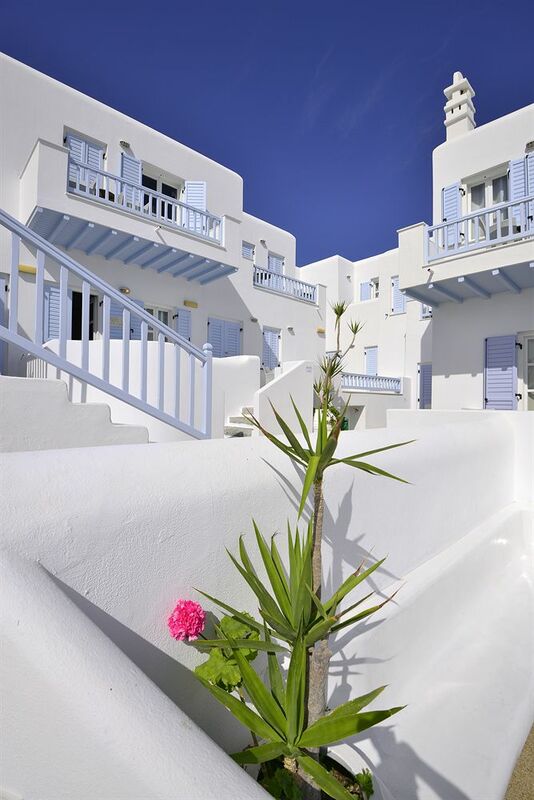 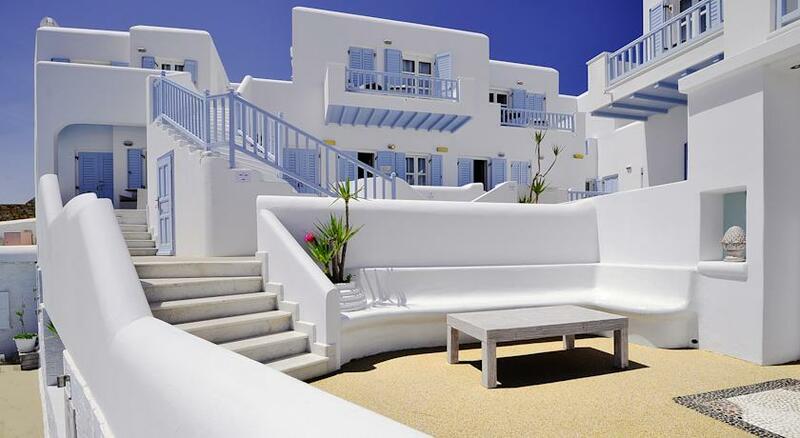 The Petinos Beach hotel features 2 stylish restaurants, the Thea offers tasty Italian food and the Blue Myth features a more traditional menu with Greek specialties. 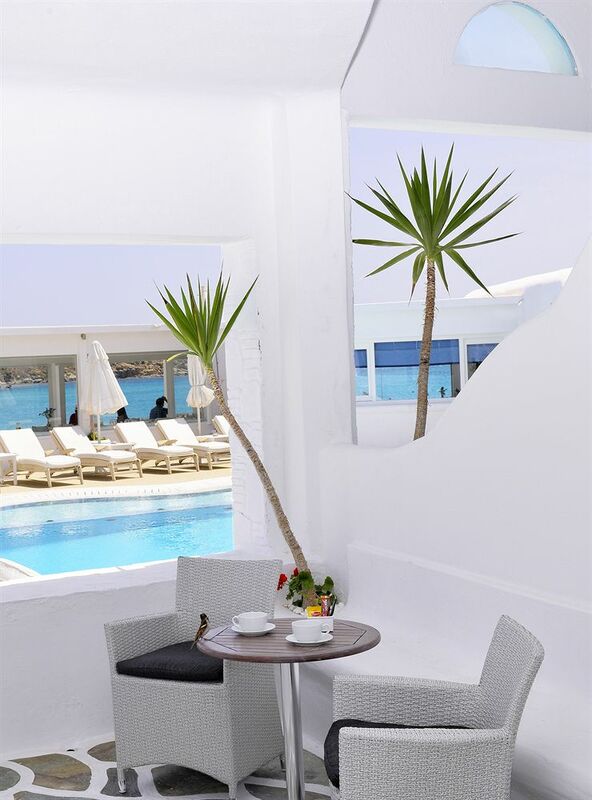 Other facilities include a beautiful sea view terrace with an attractive pool area, sunbeds and pool bar. 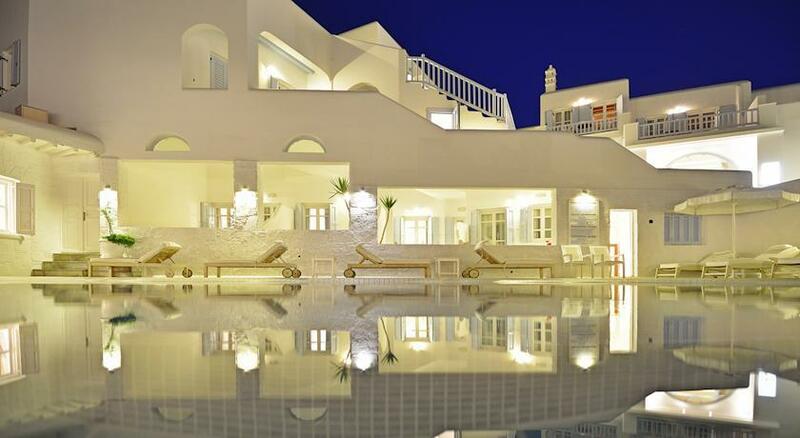 A well-equipped fitness room/gym and a free return airport shuttle for all guests. 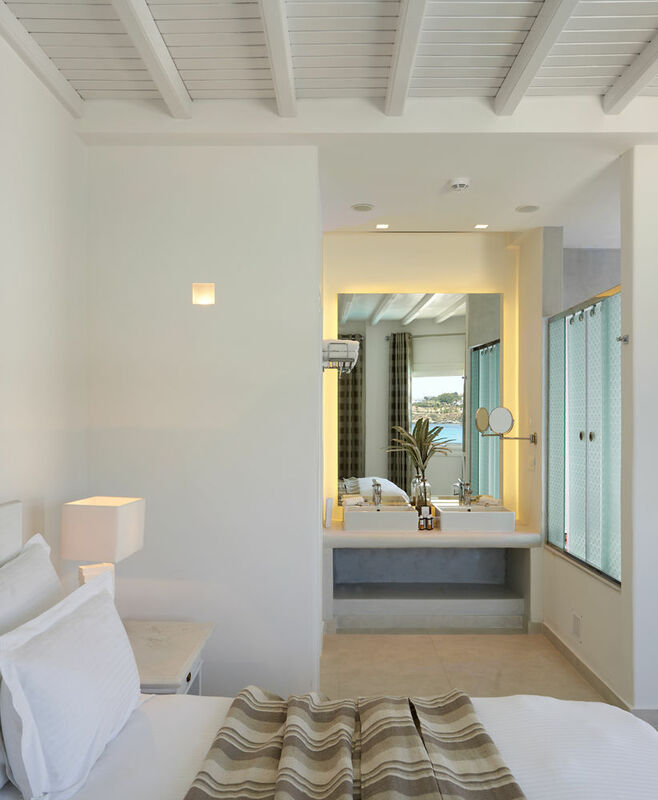 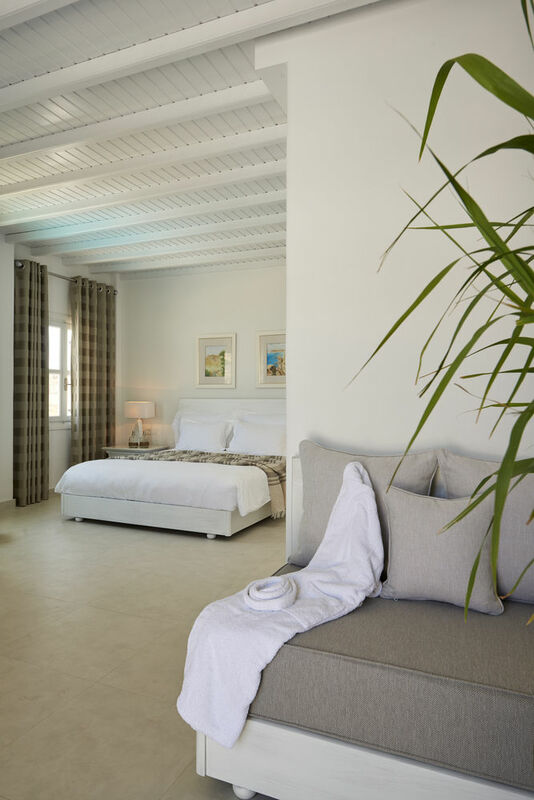 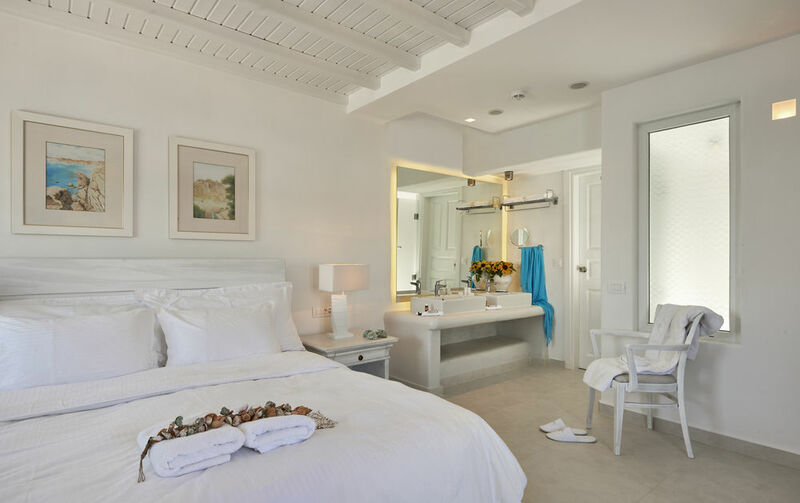 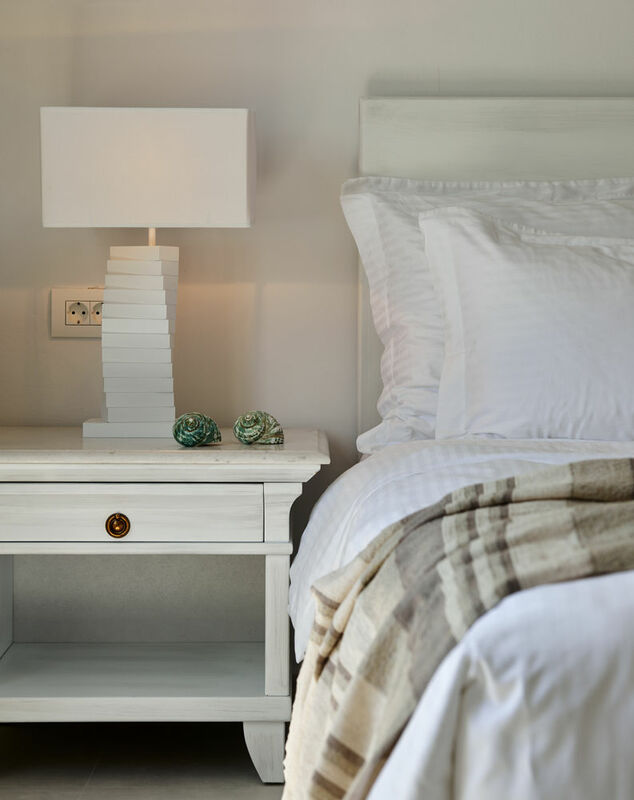 Each of the hotels newly refurbished rooms offer sea views, spacious accommodation with modern en suite bathrooms and a private terrace or balcony. 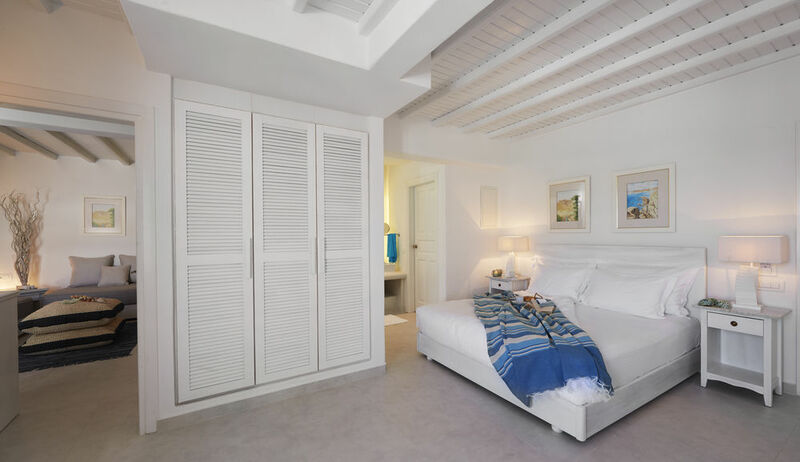 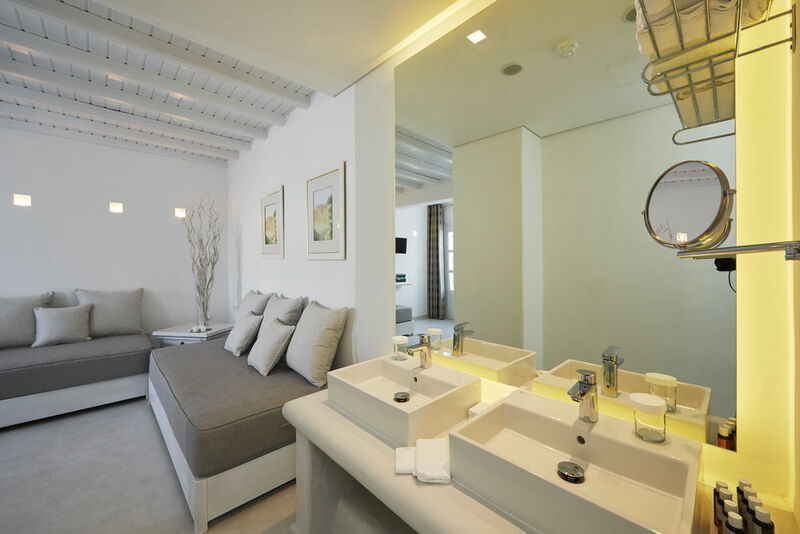 The beautifully furnished suites offer a separate living area, double or king-size beds, stylish modern bathrooms, and a private balcony or terrace. 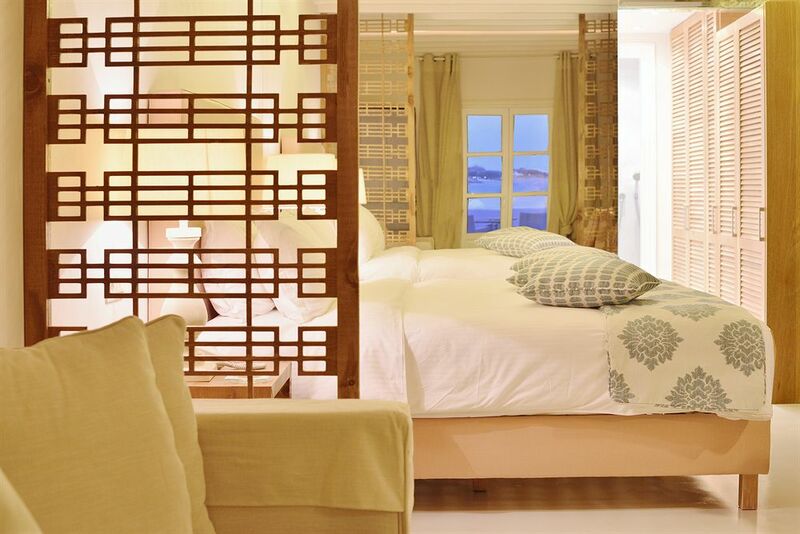 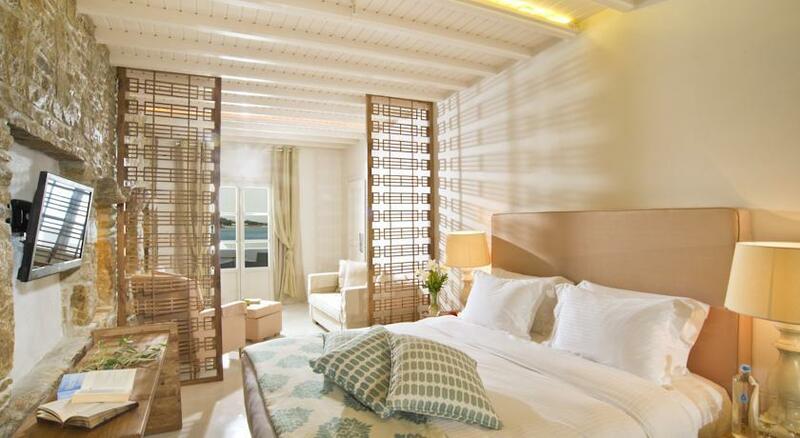 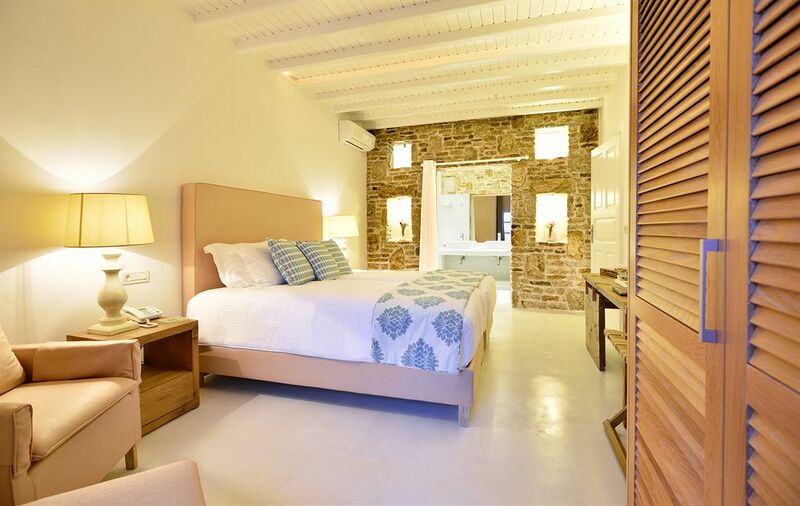 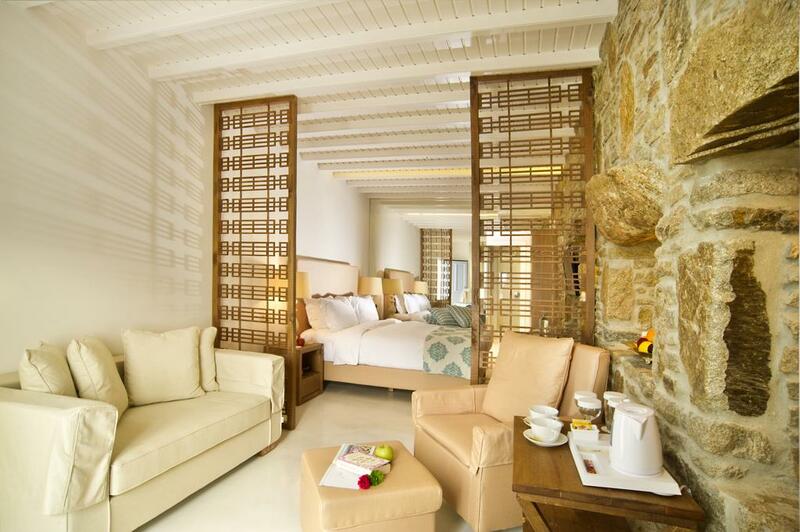 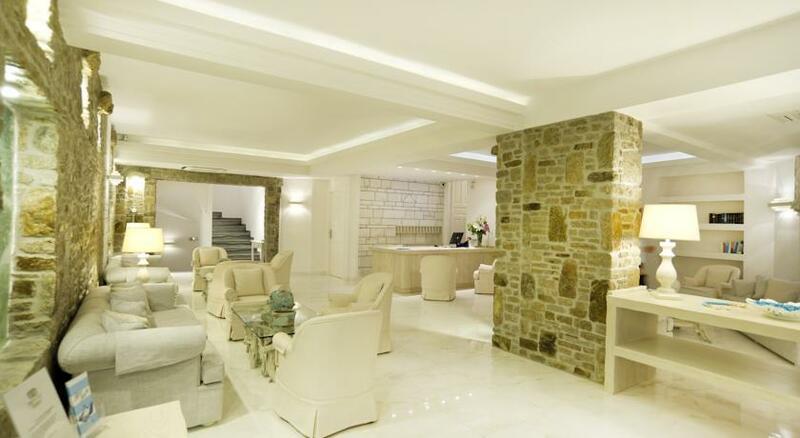 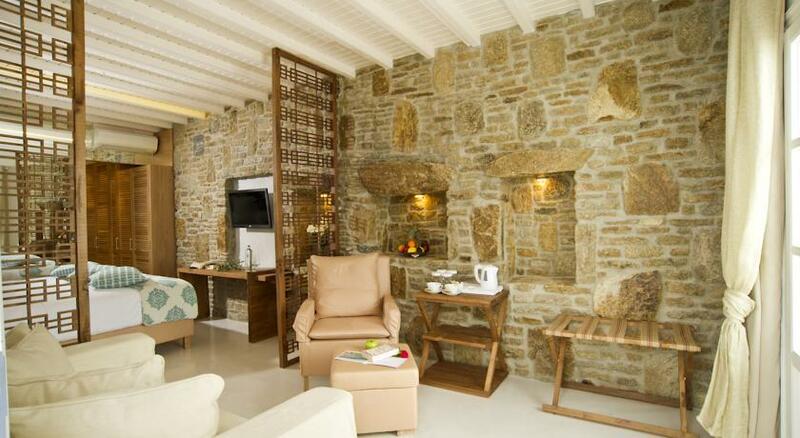 Some of the suites can sleep up to 4 guests making them a perfect choice for families.